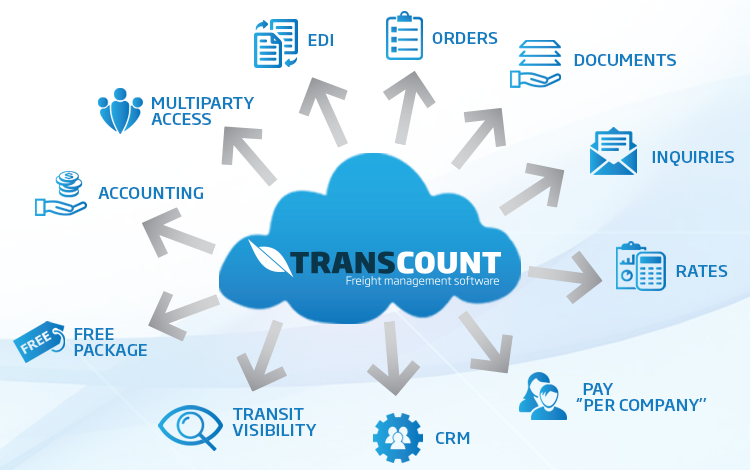 Transcount Freight Management Software, SaaS and cloud based digital solution. Take a Standard plan for FREE! Transcount is software as a service (SaaS) for micro, small, and medium sized freight forwarders, 3PL and NVOCC agents. It expedites management processes, eliminates manual and repetitive operations, and turns time into profit. 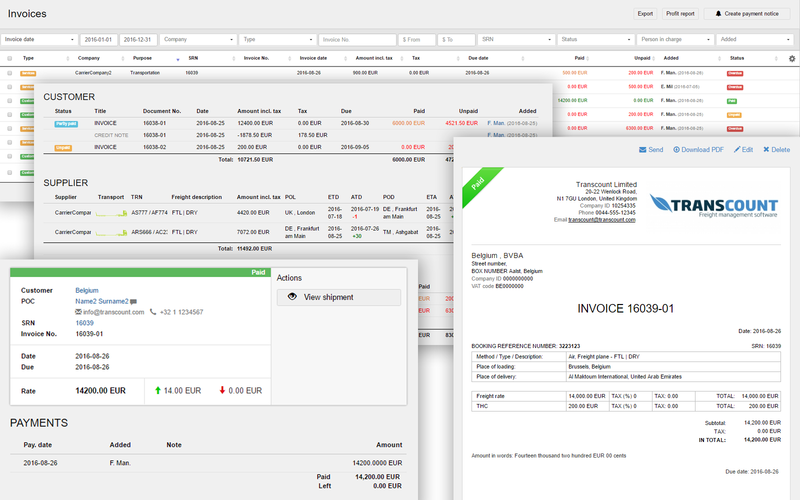 This powerful management tool enables automatic communication, document sharing and work progress among Transcount user, customer, and carrier, including price requests, quotations, freight order details faster in comparison to using traditional office tools. Automated order management enables users to multitask and focus on multiple jobs simultaneously boosting workflow speed and reducing odds of human error. 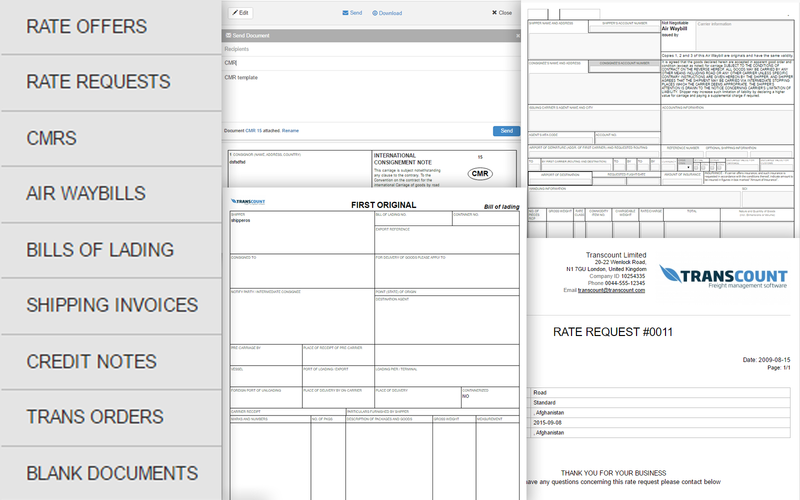 This powerful online spreadsheet application enables creating, editing, sharing, and printing any freight related documentation by using pre-made online templates without the need to use MS Office, E-mail, or any other applications, even your office desktop. That is right – you or your team can work remotely by using Transcount as it can be operated as a remote workplace. Now all shipment-related documents including: rate requests, quotations, carrier bookings, transit reports, proof of delivery, arrival notices, warehouse and terminal orders, invoices, statements, credit notes, AWBs, Bills of Lading, CMRs, Manifests and other related documents can be issued in no time. The efficiency of Sales, Service, and Support services in Knowledge-intensive industries is heavily reliant on information and knowledge. A good CRM is a key information resource, capable of boosting customer satisfaction and productivity levels by properly addressing the customers' needs the very first time they call. CRM supports staff throughout the entire sales cycle with opportunity management, business activities tracking and e-mail communications, quote management and many more. 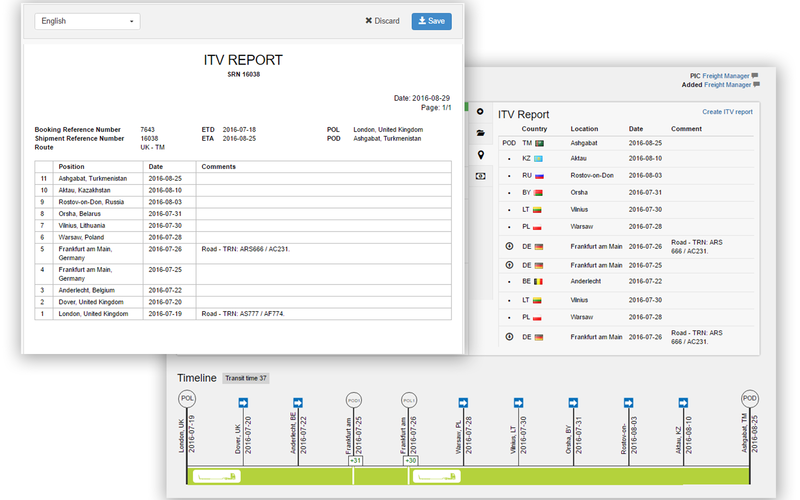 Also referred to as "ITV", In-Transit visibility is the ability to track the identity, status, and location of freight cargo from the origin to the destination. 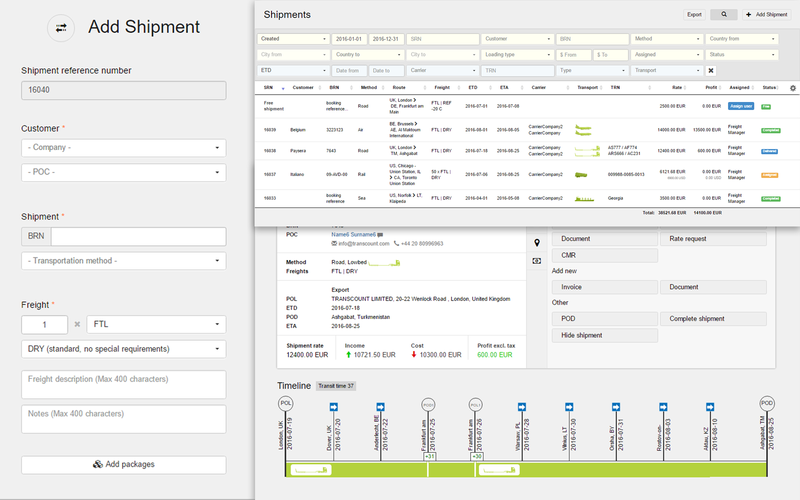 Informative shipment tracking timeline displays shipment performance progress, real-time location, including collection and delivery dates, Page 4 of 5 loading and destination places, estimated and actual transit time, intermediate stopovers, terminals, and warehouses and provides’ service performance value. A tool for assessment and control of financial performance including: costs, payable and billable, without leaving your system window or need of additional data sources or programs. It's as ease as 1 - 2 - 3! Signing up will take less than a minute. Choose a package, name for your business and sign in with a valid e-mail address. We will send an activation code instantly. 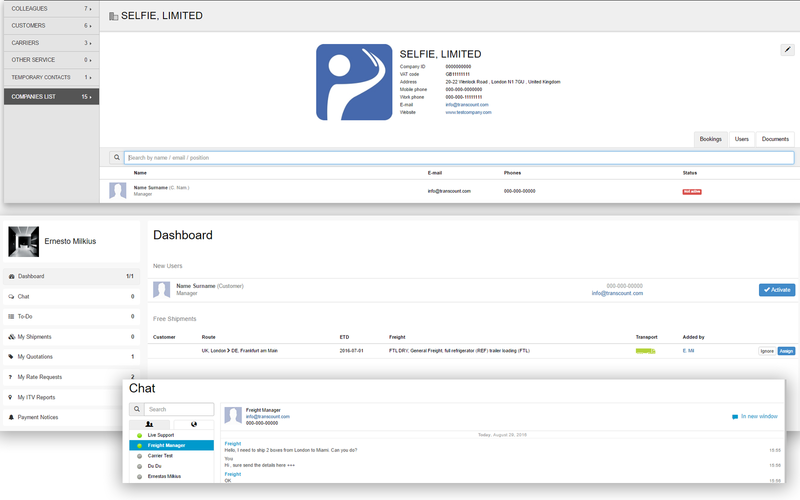 Create a profile, adjust settings, add customers and carriers, and start managing your business. Follow notifications or ask Live Support for assistance, if you need one. Enter freight order data and let Transcount start working for you. Upgrade your business to the next level. Copyright © TransCount. 2016. All Rights Reserved.